According to the US Department of Health and Human Services, Wisconsin should experience a surplus of licensed practical nurses by 2025. This, however, shouldn’t discourage aspiring LPNs from seeking employment in Wisconsin. Individuals who want to join the state’s nursing workforce can get a leg up on the competition by obtaining quality education and training, which is offered at many community colleges and technical schools throughout the state. This comprehensive guide provides helpful information for prospective practical nursing students, from licensure requirements to salary data to a list of top LPN programs in Wisconsin. No matter which state you live in, the state nursing board requires practical nurses to hold an LPN license in order to practice. Most states have similar standards, but it’s up to each individual state to set its licensure process. The next section explores the licensure and renewal process in Wisconsin. Applicants for LPN licensure must have completed a state-approved nursing program and hold the applicable degree, diploma, or certificate. Wisconsin is a member of the Nurse Licensure Compact, which allows nurses to work in 25 states under one license. Nurses who hold a license from a non-participating state must apply for a license by endorsement. According to WI Act 146, nurses with credentials from another state can practice in Wisconsin for 72 consecutive hours a year without holding a Wisconsin LPN license. Licensure candidate may submit an application for a Temporary Permit in addition to the regular license application. A temporary permit is valid for three months or until they receive their results from the NCLEX-PN exam. The permit holder automatically becomes a Graduate Practical Nurse (GPN) and can practice under the direct supervision of an RN. Applicants without a current nursing education and who have not been employed in a position requiring a nursing license within the past five years may apply for a limited license. After completing a nursing refresher course, temporary permit-holders may petition the Board for full licensure. Complete Statement of Graduation or Completion from a Wisconsin Board-Approved program and forward to the nursing school. They will return it directly to the Wisconsin Department of Safety and Professional Services after graduation. Submit a Practical Nurse Licensure Application form with a fee of $90 ($75.00 Initial Credential fee plus $15 Contract Exam fee). Register for NCLEX-PN exam online at Pearson Vue, and pay a nonrefundable fee of $200. Pass the National Council Licensing Examination for Practical Nursing (NCLEX). *Note: Time from application to receipt of a license varies. The Board suggests allowing 8-12 weeks for the process if possible. LPN licenses should be renewed on 4/30 of each odd year. The fee for renewal is $86.00 or $111.00 if late. All renewal applicants must complete the Nursing Workforce Survey online or on paper. According to the State Board, the data is used to produce accurate information about the current supply, demand, and skill level of LPNs in Wisconsin. The Wisconsin Act 2010, effective June 2012, extends the LPN license of a service member if it expires during active duty from 90 days to 180 days. The Act repeals a prior provision that requires a service member to meet all of the requirements for license extension or renewal. Although there are many employment opportunities for LPNs in Wisconsin, some geographical areas will experience more growth and better salaries than others. The table below indicates the areas of Wisconsin with the highest salaries. According to Wisconsin’s Department of Workforce Development, the state expects a steady growth rate of 1.15 annually in the employment of LPNS. Over the ten year period from 2012 to 2022, this equates to over 3700 new jobs. Larger areas, such as Milwaukee and Dane Counties, will experience higher employment growth in comparison to smaller counties such as Menominee and Florence. Prospective LPNs can access this list of Wisconsin nursing schools approved by the State Board. Visitors will find a list approved LPN refresher courses Department of Safety and Professional Services. This page publishes information about the Nurse Licensure Compact, which covers LPNs in 25 states. Visitors to this site will find comprehensive results of the 2015 Workforce Development Survey. This brochure outlines the results of the Wisconsin Licensed Practical Workforce Survey. This site provides detailed information about health careers in Wisconsin such as LPNs. 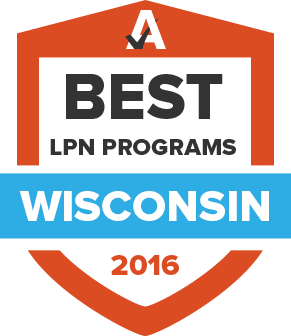 The mission of the Wisconsin Association of Licensed Practical Nurses is to provide an extended branch of the National Federation of Licensed Practical Nurses to LPNs in Wisconsin. The Wisconsin Center for Nursing works collaboratively with both nurse and healthcare organizations, as well as private and public agencies, to advocate for RNs and LPNs in Wisconsin. Forms and direction for LPN licensure and renewal are posted on this page from the Wisconsin Department of Safety & Services. This section of the Wisconsin Hospital Association website outlines the current state of hospitals in the state and provides workforce-related resources for professionals such as LPNs.